A COUPLE of underdogs from the Mid North Coast have returned from the USA triumphant. 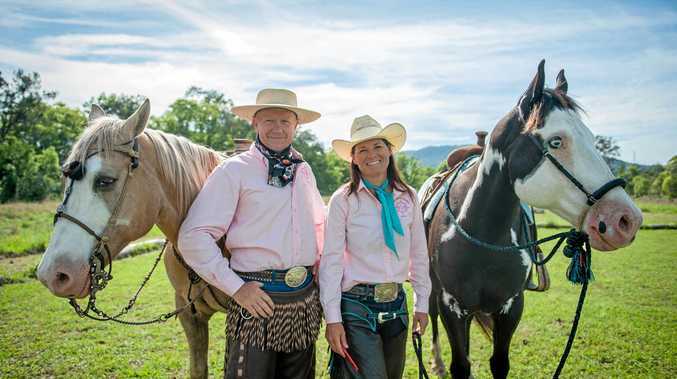 Glenreagh's Tanja Kraus and partner Phil Monaghan have, for the last four years, competed in two major horse riding events in California - the Cowboy Dressage World Finals and Top Hand. This year, Tanja returned as the Top Hand event champion and Phil took out reserve champion high point vaquero, and soft feel champion. Cowboy dressage is a combination of traditional western and classical horsemanship with an emphasis on using soft hands and signals for the horse. Four years ago, Tanja and Phil didn't have mounts when they boarded the plane and ended up with paddock horses. While other competitors have opportunity to train year-round on their own horses, Tanja and Phil only have a week to work with their borrowed horses before competition begins. The horse Phil competes on is ridden by kids for the rest of the year and four years ago Tanja's couldn't hold a halt. "The first year we were right down the bottom of the placings in Top Hand and every year the horses just seem to get to know us a little bit better and we get to know them a little bit better," Tanja said. "It's amazing that in four short years we're coming home with the buckle." The World Final is a five-day show and, this year, had more than 1000 entries. "People come from Colorado, Montana and all around the world to compete. Tanja said the primary focus of cowboy dressage is education, not competition. "It's a discipline where you bring your soft feel and niceness with your horse, with a lot of other disciplines you sort of leave that behind." Back in Australia, Tanja teaches horse clinics along the east coast and Phil teaches cowboy dressage.